News summarization with supplementary infographics and maps at the tip of your fingers. Personalized aggregated content with smart summarizations and infographics. Read news from your favorite sources at the palm of your hand. Easily combine sources with long presses to create a personalized feeds. Summit uses Natural Language Processing technology to shorten stories into key points. Stay informed and save time. Only read what matters the most. Visualize the news through infographics, such as pie charts. Maps are plotted with the locations most important to the text. All done, autonomously. If you could scan the headlines, check out short summaries, and save the full articles for later, wouldn’t that be great when you have limited time? That is what Summit provides and does so with a smooth interface. 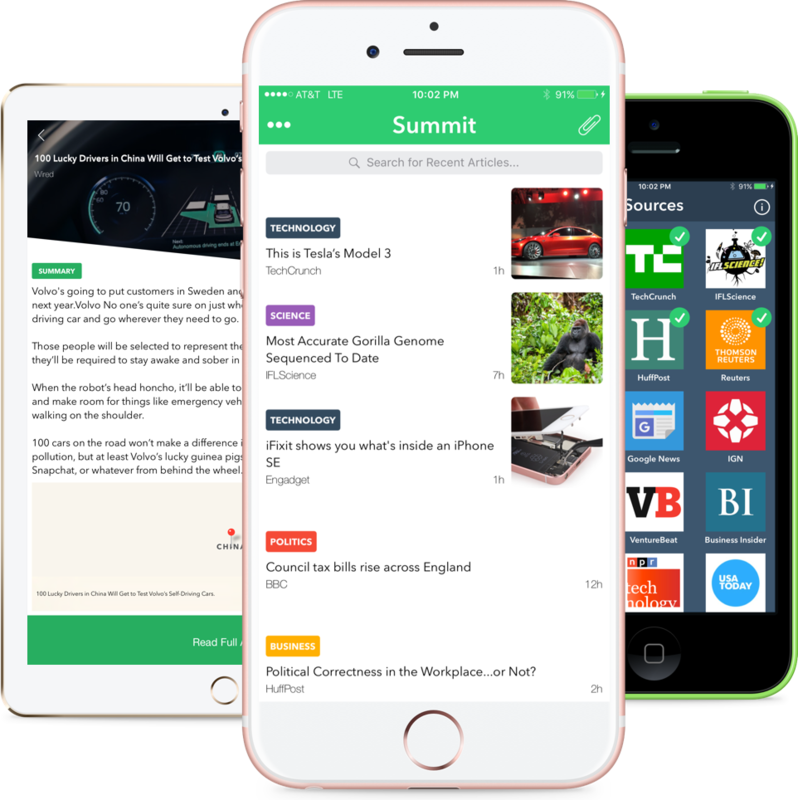 A summary-based news app, Summit surfaces a personalized feed of news stories based on publications you're interested in. Each story appears as a brief summary of the most important highlights, along with relevant maps and infographics that provide additional context for what you're reading.